With over 20 years of hand-on, successful teaching experience, I am confident in my ability and passion to become a good fit for teaching Mathematics. I possess confidence in myself as a good teacher. I’m very patient and can teach any type of Mathematics in a very good manner. Having a true compassion for my students, I always am the most favorite teacher of my students. I have the ability to be very understanding to my students so that they don’t feel bored or desperate by the complexity of a topic. Also I do have the ability to look at life in a different way and to explain a topic in a different way; i.e, instead of looking at abstract formulas, I explain with images of what the formulas represent. This requires a thorough understanding of the subject, as well as the ability to consider that subject in different ways, which not all teachers are able to do. I always dedicate myself to excellence by providing high quality results and an unwavering support through hard work and sincerity which means that my priority is to help the students achieve. I feel pride in students’ accomplishments and have passion for life to make my students successful in life. As you can read the feedback from my students and see through my qualifications that I have earned a Master of Philosophy Degree in Mathematics as well as gained a Post Graduate Diploma in Computer Science. Being a versatile individual, I have had the opportunity to teach students who functioned below, on and above grade level. I have been very successful at accommodating diverse student needs by facilitating all styles of learners, offering individualized and extracurricular support and integrating effective materials. I encourage learning by using a number of different manipulative, hands-on activities, and various forms of technology. By incorporating discussions, open-ended questions, and cooperative learning I am able to facilitate a highly interactive and inquisitive class atmosphere. In addition, I utilize weekly quizzes and monthly tests to track students' progress, locate areas of weakness and prepare students for final exams. Being a hard working and well-rounded educator, I welcome the opportunity to meet with you to discuss how my extensive experience, collaborative nature, and innovative teaching skills would benefit you in learning Mathematics. Thank for your time and consideration, and I look forward to hearing from you soon. Rate details: I will process $30 as cancellation fee if a student cancels a scheduled tutoring session in less than 8 hours of time interval from the scheduled time set forth by the two parties. I can teach any topic in Calculus with a great comfort and in detail. Discrete mathematics is the study of mathematical structures that are fundamentally discrete rather than continuous. In contrast to real numbers that have the property of varying "smoothly", the objects studied in discrete mathematics – such as integers, graphs, and statements in logic – do not vary smoothly in this way, but have distinct, separated values. Discrete mathematics therefore excludes topics in "continuous mathematics" such as calculus and analysis. Discrete objects can often be enumerated by integers. More formally, discrete mathematics has been characterized as the branch of mathematics dealing with countable sets (sets that have the same cardinality as subsets of the integers, including rational numbers but not real numbers). However, there is no exact, universally agreed, definition of the term "discrete mathematics." Indeed, discrete mathematics is described less by what is included than by what is excluded: continuously varying quantities and related notions. The set of objects studied in discrete mathematics can be finite or infinite. The term finite mathematics is sometimes applied to parts of the field of discrete mathematics that deals with finite sets, particularly those areas relevant to business. Research in discrete mathematics increased in the latter half of the twentieth century partly due to the development of digital computers which operate in discrete steps and store data in discrete bits. Concepts and notations from discrete mathematics are useful in studying and describing objects and problems in branches of computer science, such as computer algorithms, programming languages, cryptography, automated theorem proving, and software development. Conversely, computer implementations are significant in applying ideas from discrete mathematics to real-world problems, such as in operations research. Although the main objects of study in discrete mathematics are discrete objects, analytic methods from continuous mathematics are often employed as well. I am teaching Discrete Mathematics in University of Miami, Florida International University and Miami Dade College for the last 10 years using unique and easy methods and have been very successful so far. My students always pass this subject. I always have satisfactory feedback from students who always appreciate me for teaching them this subject in very easy and explanatory way. Nadeem is an excellent tutor. Very patient and polite. I have learned a lot of math and science under his tutelage. Nadeem is very recommendable. Thank you. Best tutor!!! I have been tutoring with Nadeem through high school and now college. He is an excellent tutor and has helped me achieve my goals. He is not only very knowledgeable but also very patient. He makes sure I understand the concept before moving on to a new one. Nadeem was great at explaining the problems we went over with, his explanations made everything so much easier and I was able to understand everything with such clarity . Overall, he was a great tutor. 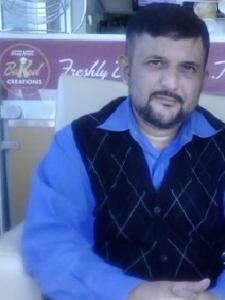 Nadeem is reliable, knowledgeable and get threw to students that have difficulty learning. My son has really benefited from his one on one sessions . We will continue to use him and also use him for my high schooler..
Nadeem was very helpful in review concepts (mainly functions) of pre calculus so that I am ready to begin calculus. He was very patient and made sure I truly understood. Reviewed the areas of interest adequately for my final exam. Was patient and knew the material we needed to go over by asking for it in advance. Would use this tutoring again if needed. Nadeem is teaching me precalculus and helping me prepare for my CLEP exam. He gave me a great foundation of where to start and was very clear with his explanations. Thank you Nadeem! Nadeem was such a good tutor with my son that is in 8th grade in Geometry class and he needed help, and he was so patient in explaining homework.problems until he understood it. I highly recommend him, and this was our first time and we will be going back to him. Easy to work with and knowledgeable. Nadeem helped me understand a lot of the different Statistics formulas. He is very knowledgeable and patient. He takes his time and in no hurry for the session to end. I highly recommend him. Thank you, Nadeem, for reviewing the material with my daughter and clearing any of her doubts. We will be contacting you in the near future for other lesson appointments.